Its the season to be jolly and HTC One S user have definitely something for them to get jolly about. 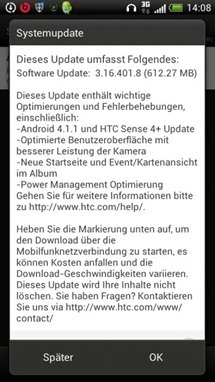 HTC has started rolling out Jelly Bean 4.1 updates across Europe. The update comes as a surprise, as this was a Christmas miracle, I’m sure no One S user was expecting to get this update this year. 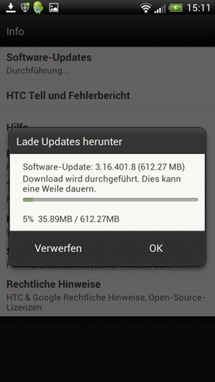 The massive 612 MB Over The Air update, brings not only the goodness of Jelly Bean but also Sense 4+. Though Sense 4+ doesn’t look that much different, its the performance which has improved drastically thanks to Project Butter. Other than that you of course get Google Now and the quite impressive Google Voice Search. The update brings the software version up to 3.16.401.8 . We would recommend turning on your WiFi for downloading the update or its going to cost you much more data than it usually would. This update is currently for the unlocked international version of the phone, if you are using a carrier version then, do you will have to wait a bit longer.